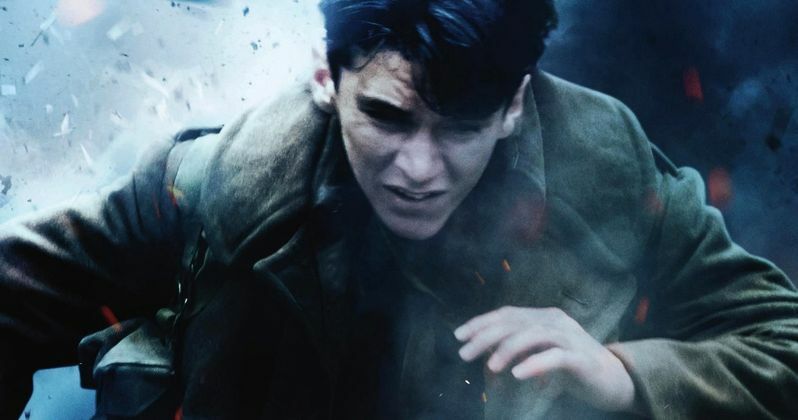 Warner Bros. Pictures is giving moviegoers a final opportunity to see Christopher Nolan's sweeping epic Dunkirk on the big screen. On December 1, 2017, the film will be re-released in a select limited engagement in 50 IMAX and 70mm locations in 34 domestic markets, including New York, Los Angeles, Chicago, San Francisco, Boston, Philadelphia, Washington DC, Dallas, Atlanta, and Toronto, among others. Following, on January 24, the film's re-release will be expanded to include more than 250 additional locations. The announcement was made today by Sue Kroll, President Worldwide Marketing and Distribution, Warner Bros. Pictures, who had this to say in a statement about Christopher Nolan's Dunkirk. "With Dunkirk, Christopher Nolan broke new ground in the use of large-format cameras to create a theatrical event that demands to be seen on the largest possible canvas. As we head into the holiday season, we are excited to offer audiences another opportunity to be swept up in this truly immersive moviegoing experience...whether for the first time or again." Originally released in July, Dunkirk, which tells the story of one of the most monumental events in history, was immediately embraced by critics who praised it as a "masterpiece" and "tour-de-force filmmaking." The film was also a worldwide box office success, earning more than $524 million to date. From filmmaker Christopher Nolan (Interstellar, Inception, The Dark Knight Trilogy) comes the epic action thriller Dunkirk. Dunkirk opens as hundreds of thousands of British and Allied troops are surrounded by enemy forces. Trapped on the beach with their backs to the sea and home almost within sight, they face an impossible situation as the enemy closes in. As the story unfolds on land, sea and air, RAF Spitfires engage the enemy in the skies above the Channel, trying to protect the defenseless men below. Meanwhile, hundreds of small boats, manned by both military and civilians, embark on a desperate rescue effort, risking their lives in a race against time to save even a fraction of their army. When 400,000 men couldn't get home, home came for them. Dunkirk features an ensemble cast, including Fionn Whitehead, Tom Glynn-Carney, Jack Lowden, Harry Styles, Aneurin Barnard, James D'Arcy and Barry Keoghan, with Kenneth Branagh, Cillian Murphy, Mark Rylance and Tom Hardy. Nolan directed Dunkirk from his own screenplay, utilizing a mixture of IMAX and 65mm film to bring the story to the screen. The film was produced by Emma Thomas and Nolan, with Jake Myers serving as executive producer. The behind-the-scenes creative team includes director of photography Hoyte van Hoytema, production designer Nathan Crowley, editor Lee Smith, costume designer Jeffrey Kurland, visual effects supervisor Andrew Jackson and special effects supervisor Scott Fisher. The music was composed by Hans Zimmer. Warner Bros. Pictures presents a Syncopy Production, a film by Christopher Nolan, Dunkirk. Presented in conventional theatres and IMAX, the film is being distributed by Warner Bros. Pictures, a Warner Bros. Entertainment Company. This film has been rated PG-13 for intense war experience and some language.